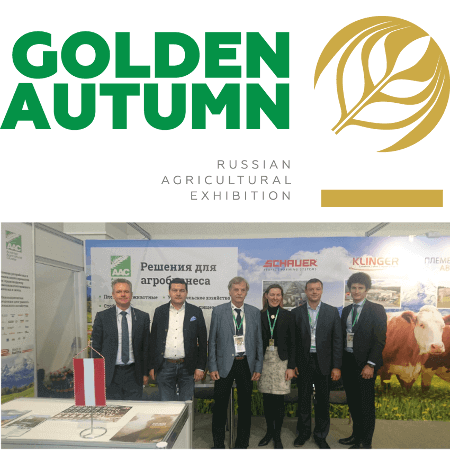 “Golden Autumn” is since 1998 the main Agricultural Forum of the Russian Federation. 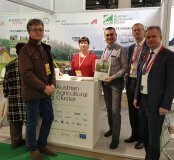 The exhibition is organised by the Ministry of Agriculture of the Russian Federation and operated by the exhibition company ROTEX LLC. 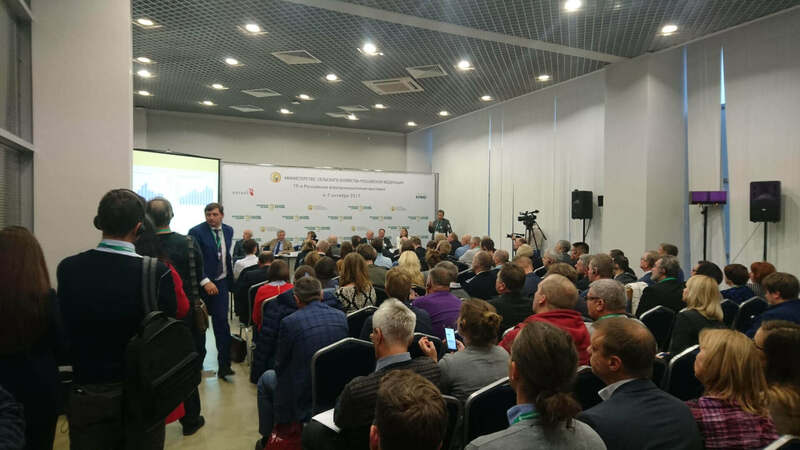 According to ROTEX, yearly more than 1.500 exhibitors from more than 60 regions of Russia and more than 12 countries participate in the fair. 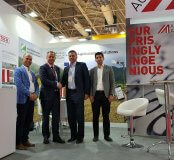 The total exhibition area is over 30 000 sqm, around 300.000 visitors are recorded. 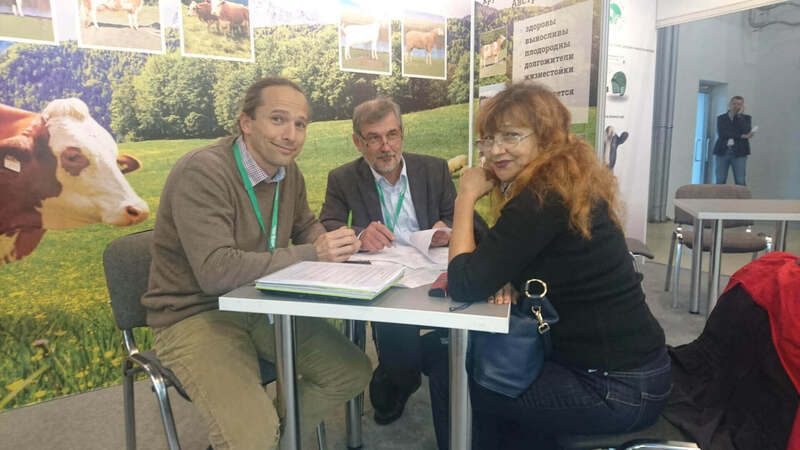 Austrian Agricultural Cluster participated for the first time at the Golden Autumn Fair and organised an exhibition stand in collaboration with member companies Biomin, Schauer Agrotronic, ZAR Association of Austrian Cattle Breeders and ÖBSZ Austrian Federal Association of Sheep and Goats. 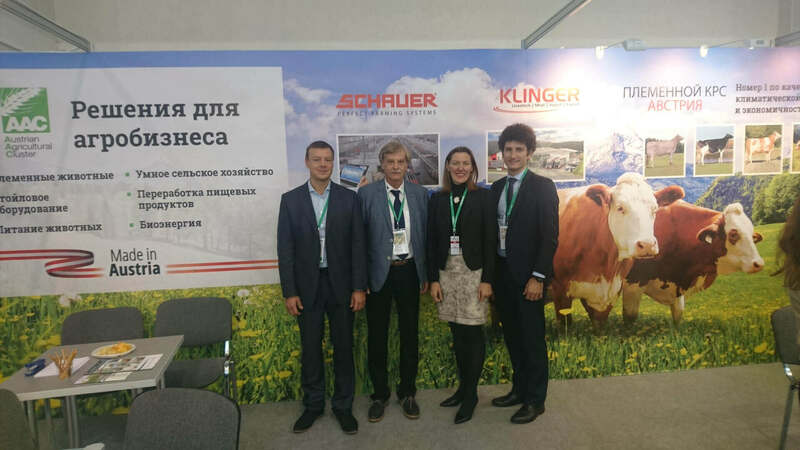 Klinger GmbH, an experienced Austrian exporter of breeding animals to Russia, also joined the stand under the umbrella of the ZAR. 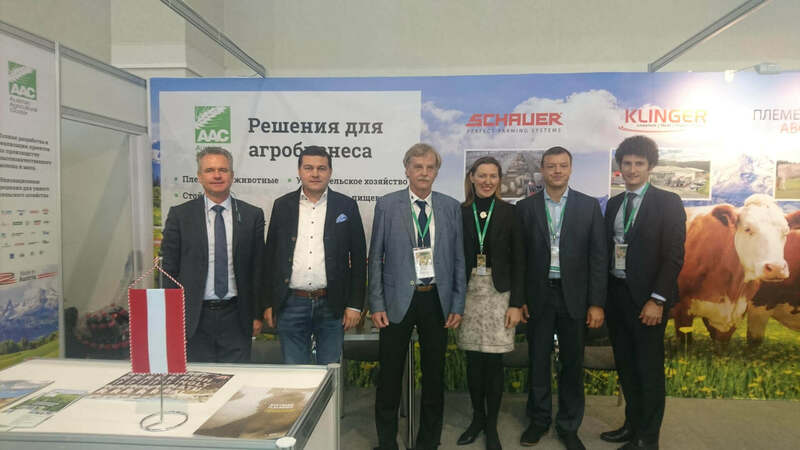 The Advantage Austria Office in Moscow, headed by Commercial Counsellor Rudolf Lukavsky, also participated at the fair stand. Company BAUER had an impressive 60 sqm exhibition stand in the same hall B. WOLF Systembau exhibited at the German National stand, located near the Austria fair stand. 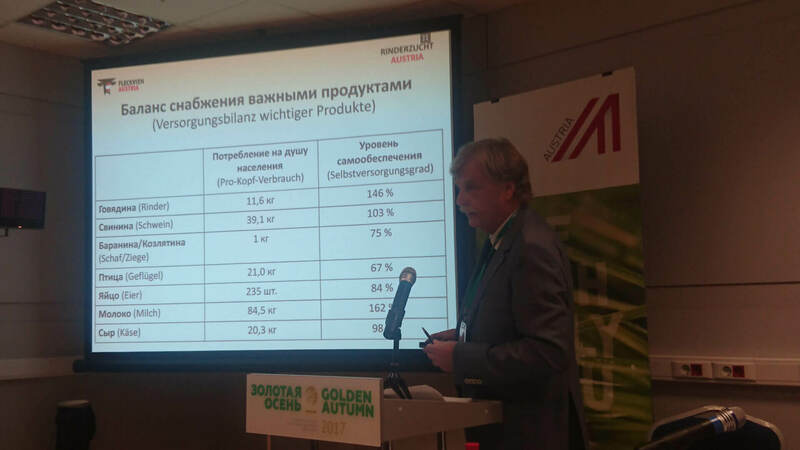 In the context of the fair, the Advantage Austria Office in Moscow organised on Oct. 5th an Austria Showcase containing a high-level Agri-Business Forum dedicated to the chances in the Russian agriculture, followed by a series of expert speeches and company presentations, B2B workshops and expert discussions. 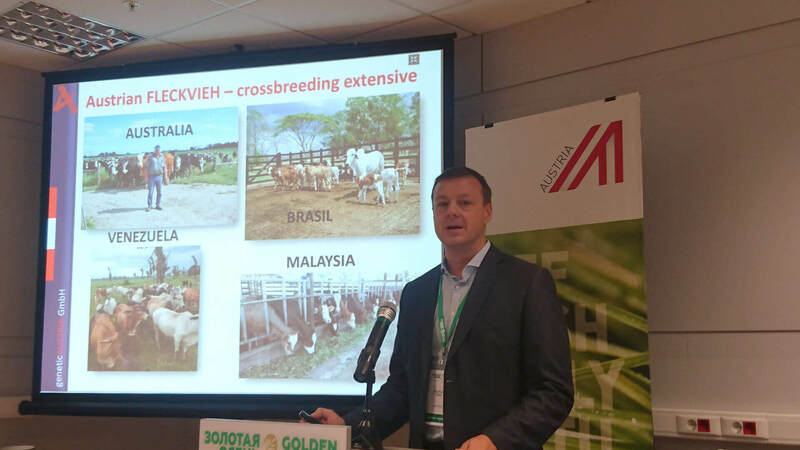 The AAC members presented their services and technologies with panel topic “Quality – Taste – Organic production – Success factors of Austrian milk & meat production”. 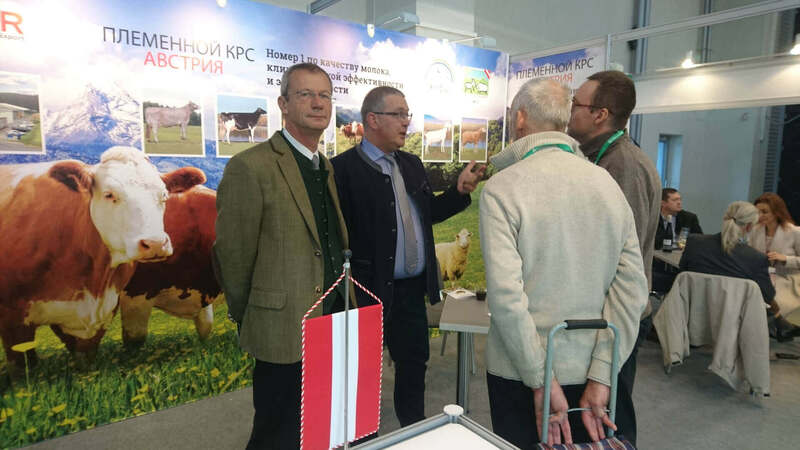 The Showcase ended with a Networking Event of the Austrian business community that was well attended by Russian representatives of the public sector, agroholdings, farmers and lecturers of the Agri-Business Forum.